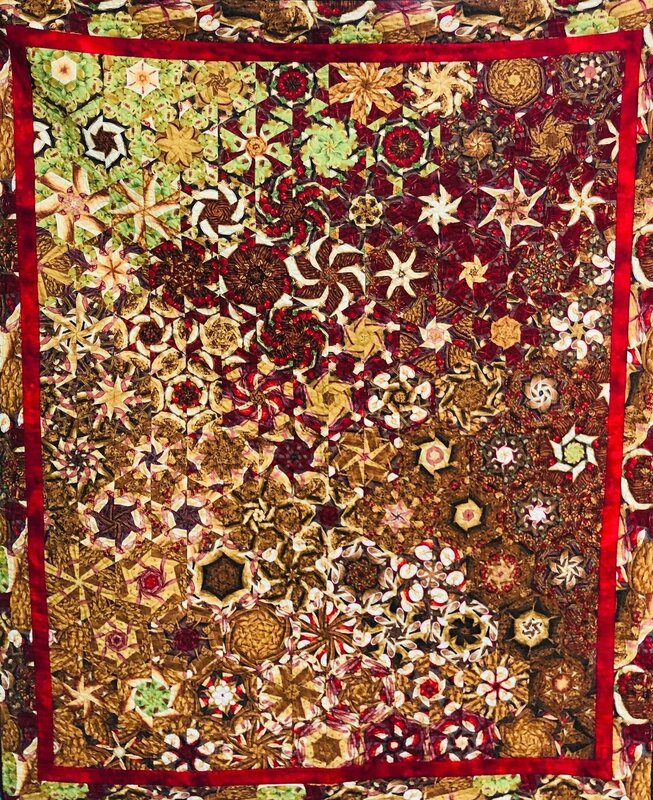 Create a "WOW" quilt using just one fabric and one block. For less experienced quilters creating a "One Block" is an opportunity to explore design while remaining in your comfort zone. Essentially six repeats of fabric are layered and cut into strips. From these strips triangles are cut and formed into hexagons. Once the placement of hexagons are determined, (the design portion), the blocks are easily pieced together in strip form. Purchase of "One Block Wonder" book is required. Sewing machine and "One Block Wonder" book. Supply list available when you sign up.